is at the ‘OLI’OLI Station Ala Moana! 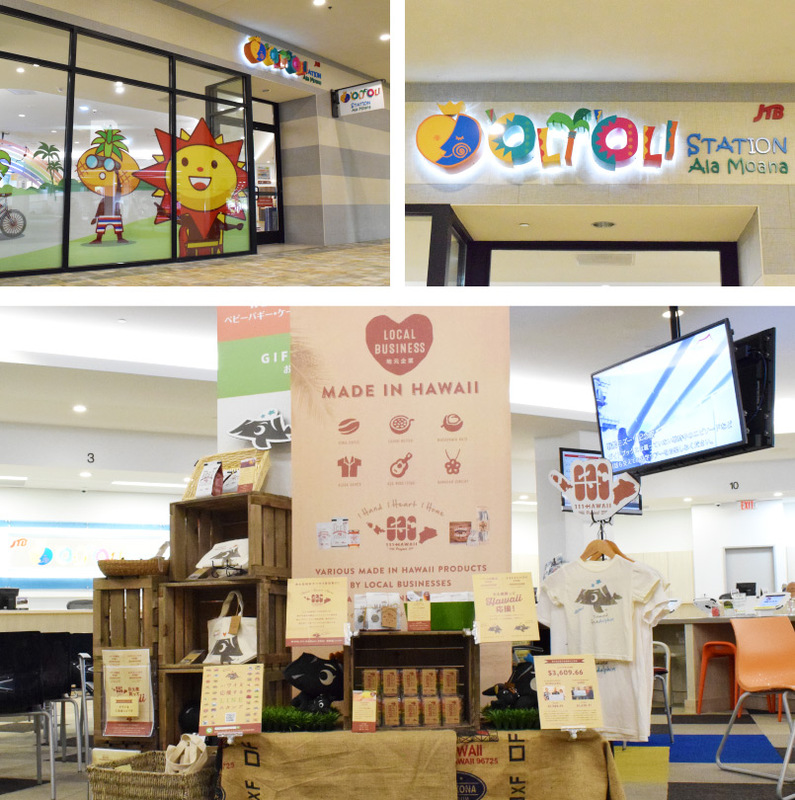 The showroom is located at the ‘OLI’OLI Station Ala Moana, a guest service lounge for JTB members on the 1st floor of the Ala Moana Center. Please feel free to stop by. *The ‘OLI’OLI Station is providing a part of their store as one of the project’s participating business.